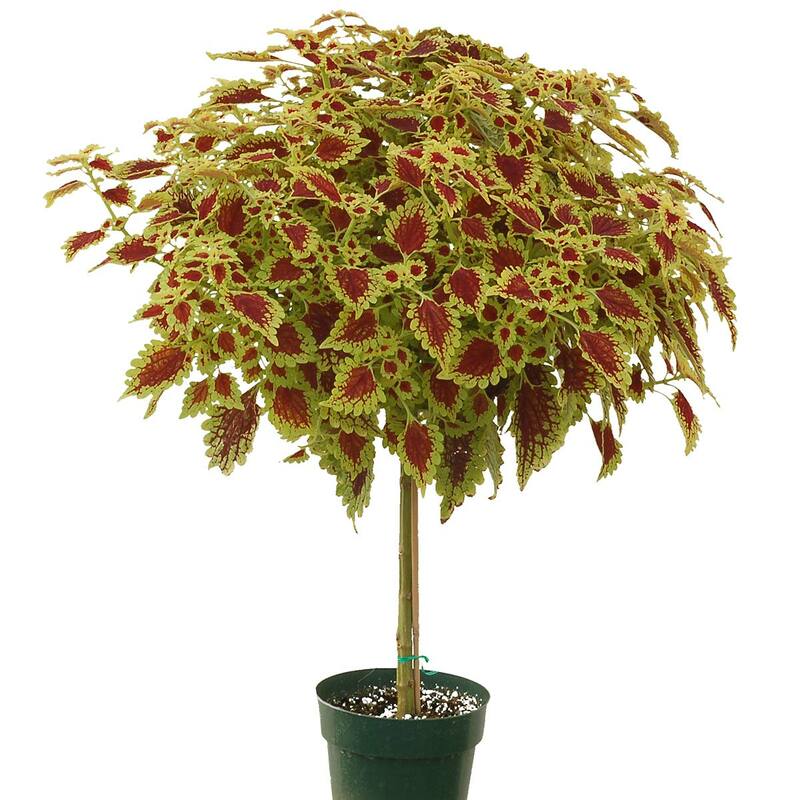 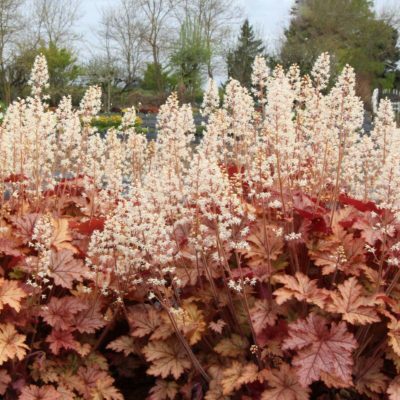 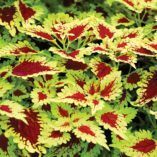 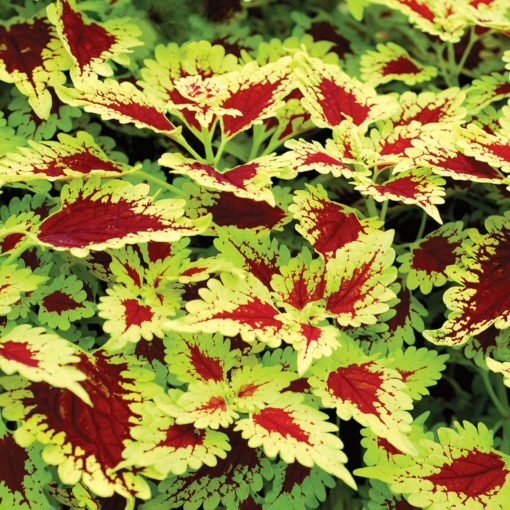 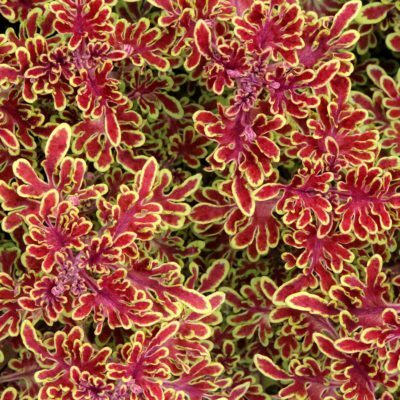 Coleus FLYING CARPET™ ‘Thriller’ | TERRA NOVA® Nurseries, Inc. Vivid lime-gold leaves are bordered by a cherry red center which changes to burgundy-red as the foliage ages. 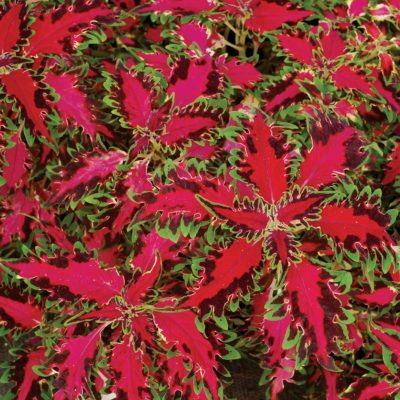 Prominent red veins reach out to the leaf edges. 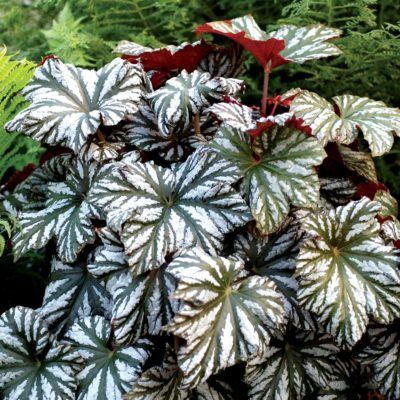 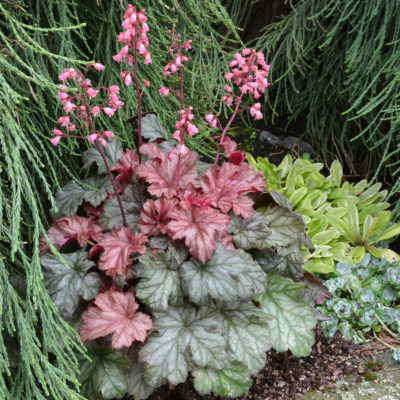 Foliage is mid-sized and dense; fills a container very quickly. 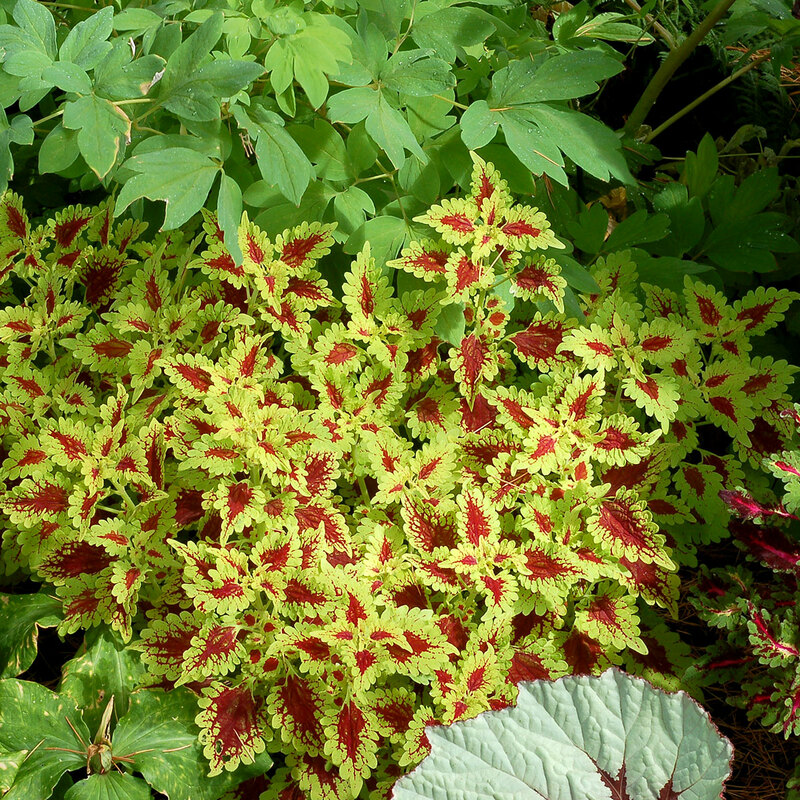 Vigorous trailer with lovely markings. 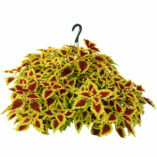 Great in a hanging basket! 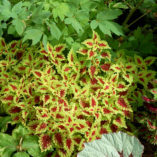 The FLYING CARPET™ Series are all new Coleus breeding with low, dense, trailing habits.